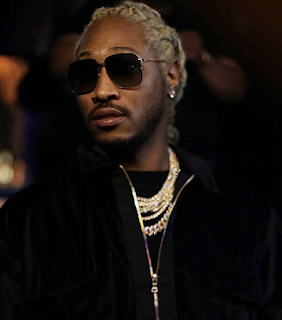 Last year rapper Future made an appearance at his baby mama Joie Chavis' baby shower, upsetting one of his other baby mama's, Brittni Mealy, in the process [click here if you missed that]. 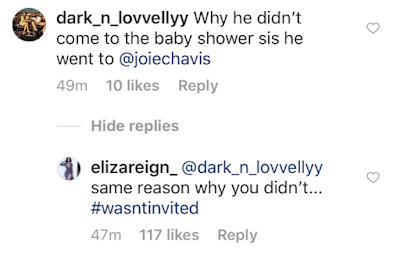 Eliza spilled the tea after a nosy commenter asked her why Future wasn't at the party. Ghetto fabulous. Why that dress made me think of big bird? Nobody low key no more. Well...Good for her. The Kim Burrell of baby momma's ..... fake. She's a beautiful mom to be. Too bad things didn't work out different however like she stated she is better off as a result. #BLESSITBE! Do we even know if it's his child??? 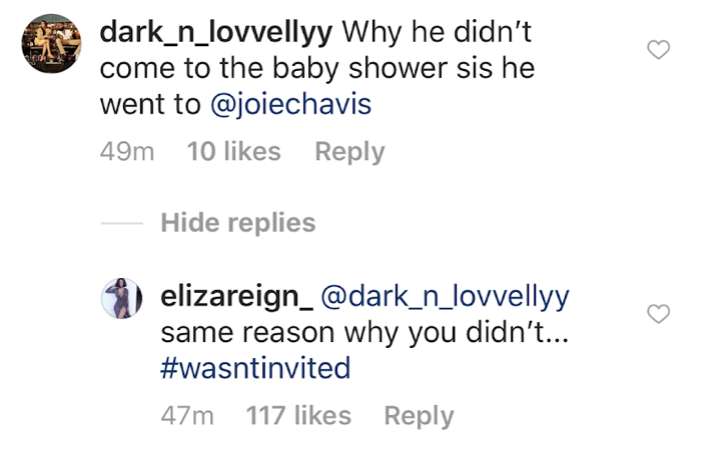 And I like how they make these baby showers so extravagant since there will never be a wedding lol.sad life to aspire to be a baby mother and much less to a man who won't even claim you. I think it's sad that seeking out these dudes and intentionally getting pregnant is what is the new normal. Yeah, her girlfriends are great friends for throwing her a baby shower but this is on some whole other level! You have to be under a rock to not know about his many baby mothers and kids. She literally got in line to become a baby momma.